adidas today announced the launch of the updated adizero f50 Messi football boots. To celebrate the return of the UEFA Champions League, the world’s greatest club competition, adidas has revealed a new design that pays homage to Leo Messi and his record breaking success. The boot, inspired by the architecture of Barcelona, is a monument to the magical performances Leo Messi has produced in Europe. The design of the boot represents every goal he has scored and the 21 cities he has scored in. It represents the four times he has claimed the golden boot, the four UEFA Champions League hat-tricks he has scored and the three times he has lifted the famous trophy. Leo Messi is widely considered as the world’s best player and one of the most successful players in the history of the UEFA Champions League. The words embellished on the boot, words like ‘respect’, ‘fun’ and ‘speed’, symbolise the attributes at the core of his game. The new adizero™ f50 combines revolutionary technologies and precision engineering with every aspect of the boot design based around making the wearer as fast as possible on the football field. At only 165g, the adizero™ f50 is one of the lightest shoes on the market. The UEFA Champions League f50 is the second instalment in a series which includes Messi’s current La Liga edition boot, and will be worn solely in this season’s UEFA Champions League. 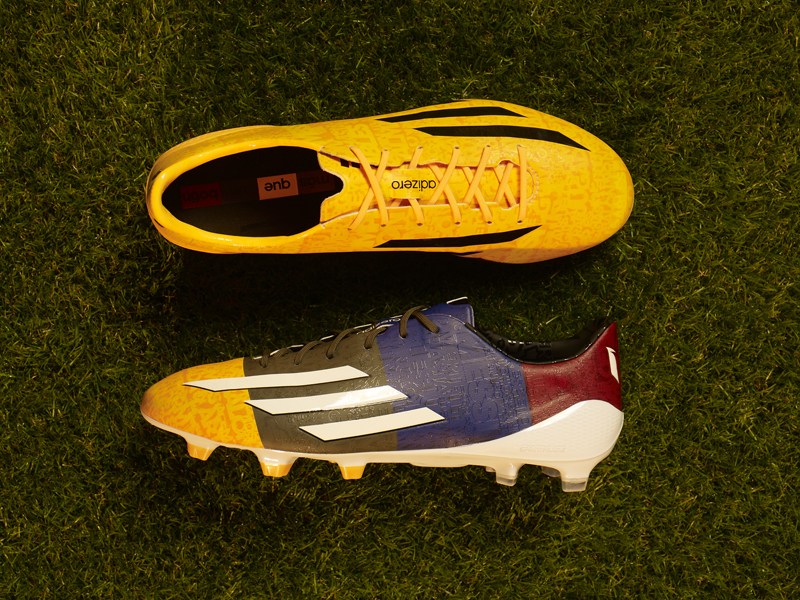 The boot will be available to buy at www.adidas.com/messi-collection from 15th September.